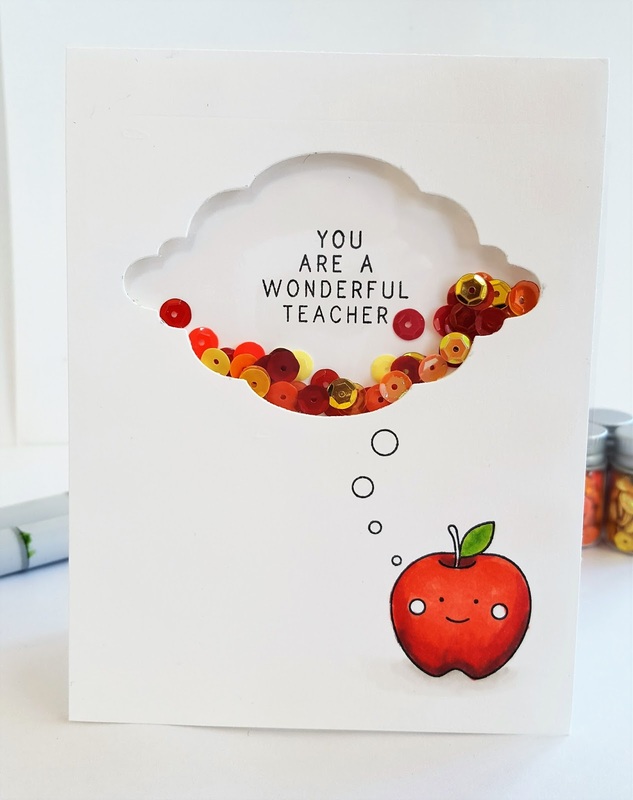 I wanted to make a card for my son's kindergarten teacher. The end of the year is coming up and I like to give his teacher's a small gift for all the hard work that they put in throughout the year. 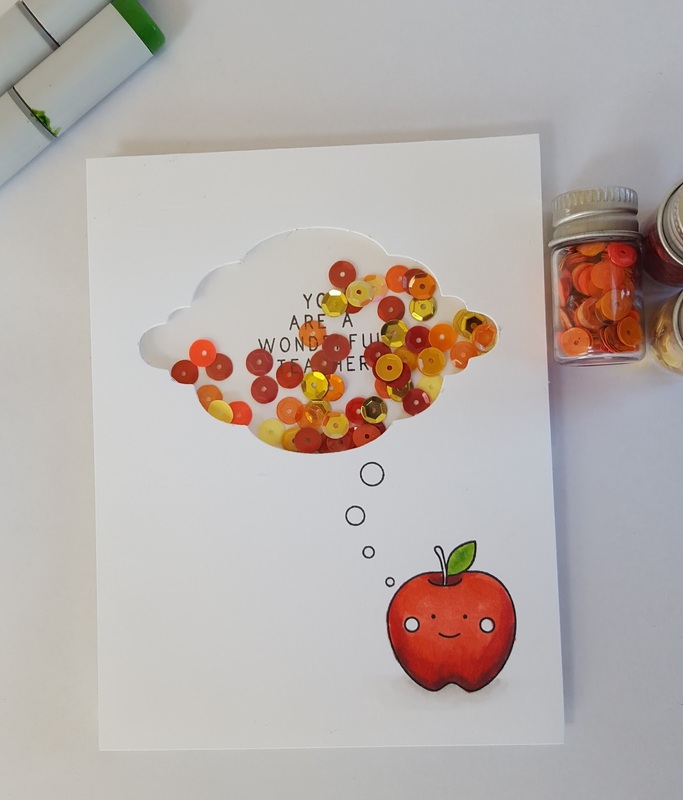 I saw the apple stamp from SSS's Happy Days and the sentiment from HA's May 2016 Monthly kit and knew I wanted to put them together. I've seen lots of shaker cards that other people have done and they looked really awesome so I decide to try it. I am glad I did! I stamped the apple first and then die cut the cloud from a Sizzix fancy label die. I colored him in with copics and then added the little circles going up to the die cut. (I just realized I forgot to color in the stem, lol! I'll do that before I give it out.) I then laid the top panel on a blank piece of white cardstock and stamped my sentiment in the middle of where the die cut lay. Super cute card. Thanks for being our guest at CAS on Sunday! This is absolutely sweet and gorgeous card! Love the composition idea and a little red! Thank you for sharing with ATSM! What a lovely shaker card.